Everyone goes crazy for a heartwarming military homecoming. How could you not? Especially one captured in a recent photo posted to Reddit by user adamdeluxedition. 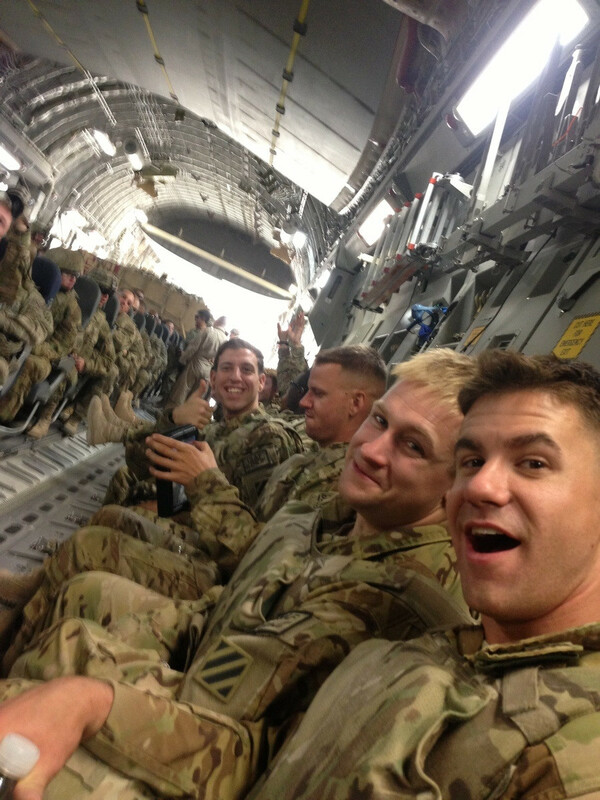 In the snapshot, homecoming soldiers sit together on a plane, grinning, posing, and giving the camera a thumbs up. Just a quick glimpse at the pic tells you everything you need to know. The guys are exhilarated, so so happy to be coming home. Although many commenters congratulated the soldiers on their return, a few pointed out that posting army movements via social media is discouraged. They worried it may be frowned upon by the military due to security concerns. I definitely get it ... But there's also something to be said for capturing that "en route" moment -- and sharing it with the world. The elation on those soldiers' faces is something anyone can read and something that makes just about anyone feel warm and fuzzy. It's one of those pictures that shares thousands of words -- and makes us feel joy, relief, comfort for not just the soldiers themselves but their loved ones. You don't even have to have read the caption the poster included to feel that! But in case you're curious, he wrote that the troops were "excited" to be returning home to their families and that he personally couldn't wait to see his baby girl who just turned three. Awwww! Come on -- what could be wrong with any of that? Look at it. Pure awesome. What's your reaction to this photo?